Don Solo (Flickr) just calls his latest creation “thing,” but I call it cool. 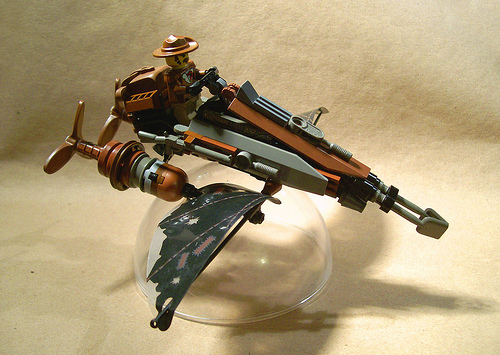 Reminiscent of a speeder bike or swoop, my favorite detail in this creation is Don’s use of two shovels on the front. the minute I saw this I thought, 1st place! I love the way it slants down in the front, shovel ussage, and that big back-pack! The wings are a nice touch as well.